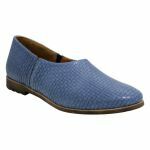 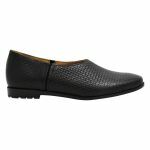 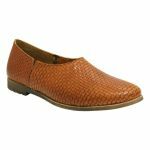 Cadel by Sala is a casual flat shoe. You would wear Cadel with jeans and a nice top or even with a transeasonal dress. 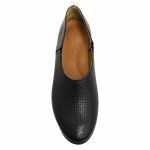 Cadel has an interesting textured leather paired with intense underfoot padding. 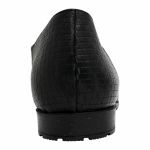 Cadel has a wide rounded toe making it a wider fit across the width. Cadel has elastic side gussets that make it easy to get in and out of. 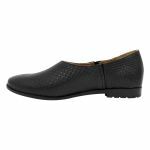 Cadel has a lightly treaded sole keeping you comfortable and stable throughout.